Good morning!! Happy Saturday too! 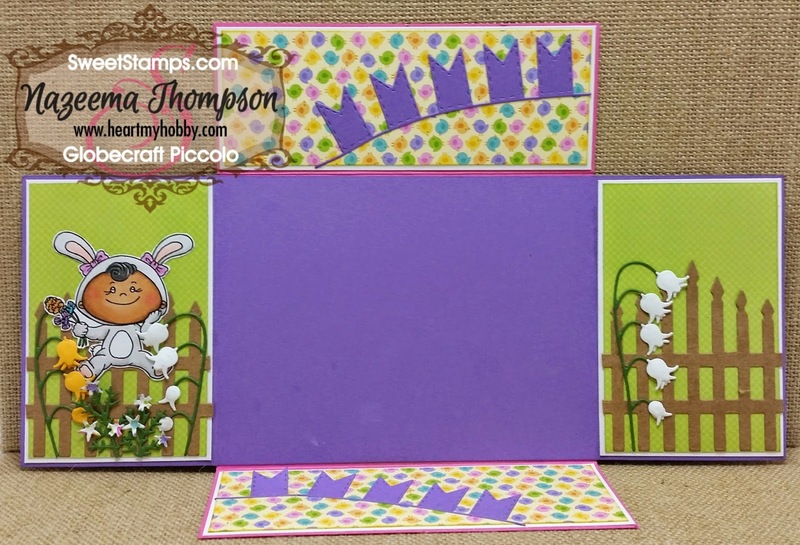 Today, I am up to share my creation with you for this weeks challenge over at SweetStamps. This is what my card looks like completed and folded!! 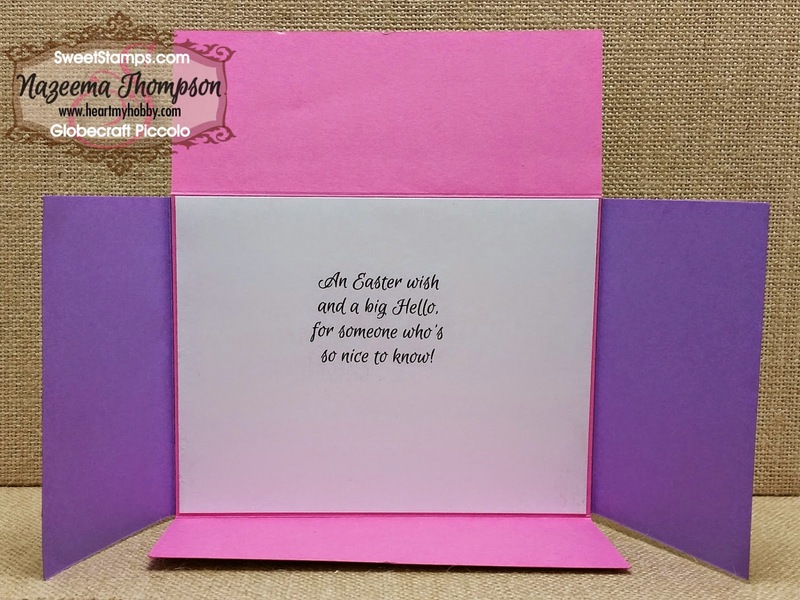 The tutorial suggested 4 squares, but I opted for cutting the patterned paper the length and width of the card, since I knew I was going to be doing a lot of layering. This is what the card looks like once it is all opened up. 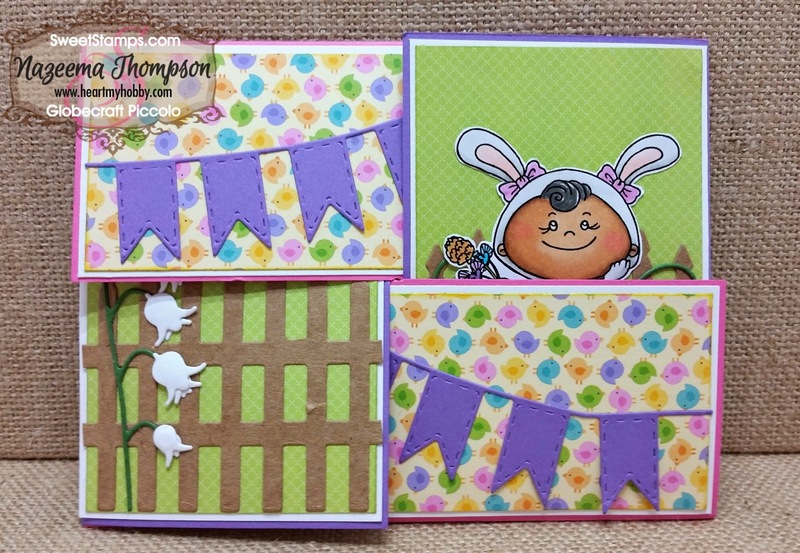 The sentiment is from the Cute As A Bunny stamp set. This is what the outer layers of the card looks like. This was the only way I could capture how cute this card really is!! 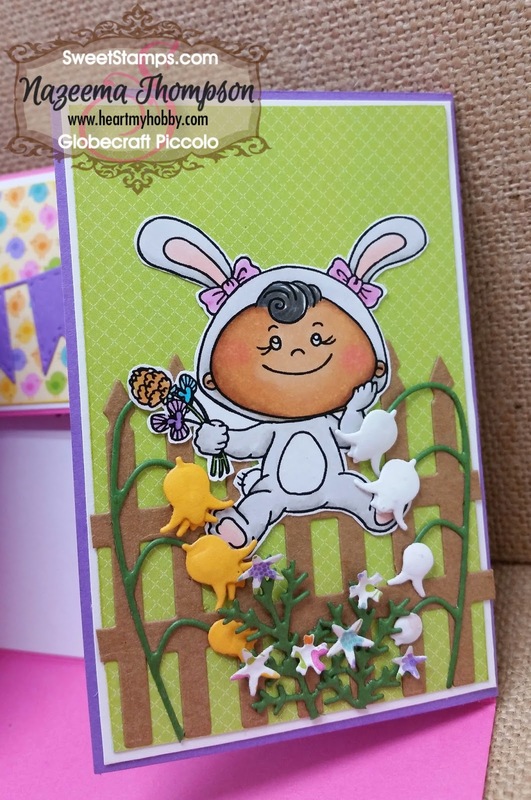 Finally here is that cute mocha bunny all colored up and sitting on that fence surrounded by those flowers!! I really love this set...can you tell!!! :) Well I hope you will give this technique a try if you haven't already joined us this week. The possibilities are endless. Omg that is so cute! I have never seen a card like that. That is just so cute, I definitely will have to give this a try too. Thanks for joining Brown Sugar Challenge! Oh how I love this darling card! 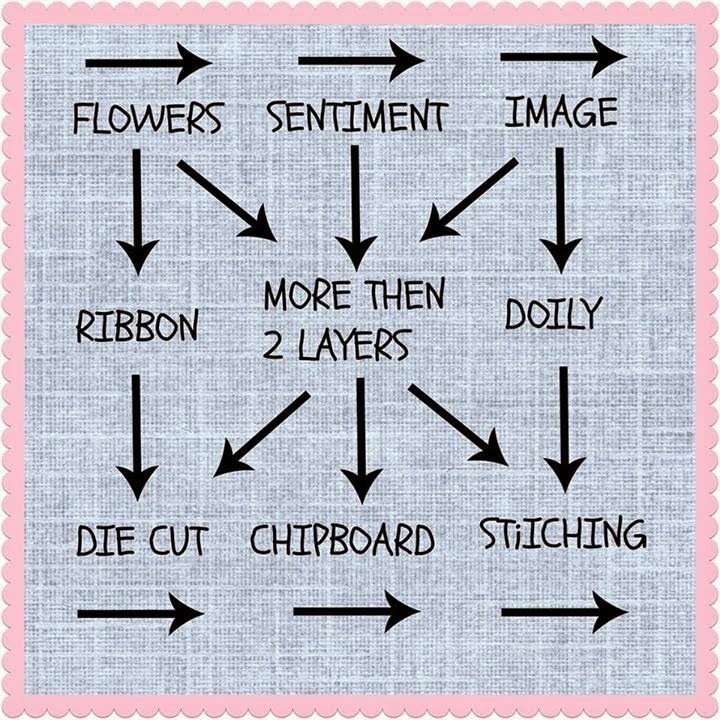 LOVE everything you did here- all of the dies and the darling image! LOVE, LOVE this!!! Fantabulous!!! I love the layout and god your coloring is so good! !